The savvy advertiser needs to embrace social media to remain relevant. Nearly two-thirds of American adults (65%) use social networking sites which represent an opportunity to reach new customers not only locally, but all around the world. There are many ways to use social advertising according to your goals. You can promote a campaign to generate awareness or to capture leads to identify qualified customers. The end goal, in most of the situations, though, is to make more sales and increase your revenue either in the short or long term. That is why a common question about social media advertising is about its potential to generate sales. The answer is social media can be the best platform for sales if you know how to approach it the right way. In 2015, Facebook influenced 52% of consumers’ online and offline purchases,according to a study from the DigitasLBi Connected Commission. Do you want to give a boost to your sales through social media advertising? Follow our tips. First and foremost, it is essential to know your audience. In social media advertising, this means that you need to know what platforms your target audience are on, when they use social media and how they behave online. On a broader marketing scale, find out their buyer behavior. Also understand not just who you’d like to target, but who you already resonate with. It pays to expand your target, but don’t forget your core base. You will approach social media in different ways according to your goals. If you want to increase your sales, you should be more straightforward in your approach and think about effective calls-to-action that will lead a customer to perform the action you desire. The social media metrics you must follow to generate sales are also different. Pay special attention to conversions, views, clicks and cost-per-view. Make the necessary adjustments as required to achieve the desired sales numbers. Choosing the right social media platform to advertise is a major step to reach success. You need to advertise where your audience is. 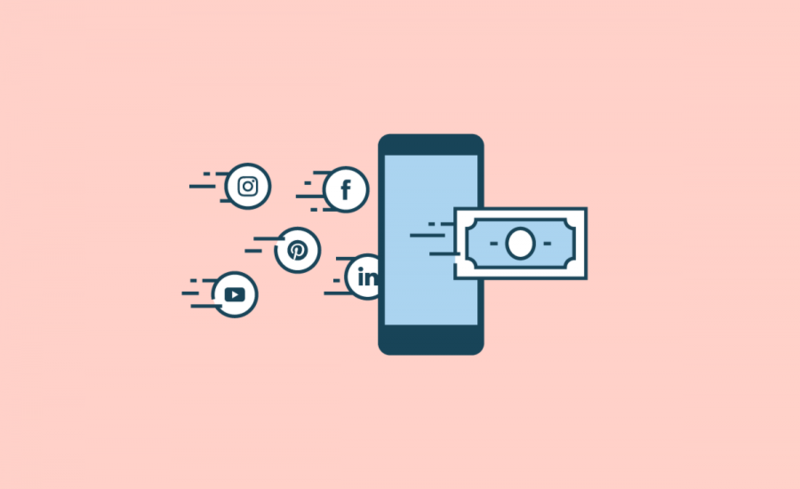 It’s your job as a diligent strategist to study the characteristics of each social platform and how audiences engage with content in them to figure out where you should invest your money. Your ultimate goal should be to create a memorable ad experience for the consumer. Why? Because experiences improve the relationship between the customer and the brand resulting in brand loyalty. In that context, ads are a brand’s means of communicating with the client and cultivating that relationship. Take time to create a good ad that will resonate with your customer base, and you’ll be happy you did. Make sure that you redirect the people who click on your ad to a page with which you can convert them into your customers. Ideally, you should redirect your clients to a place where they can take the next action you want from them. Consumers are not likely to go out of their way to explore your website and find things by themselves. Make their journey as short as possible to catch their attention and generate potential sales. Before launching anything, make sure your campaign is optimized for the particular platform that it will be displayed on. For instance, if you’re going to be advertising on Facebook, you’ll want to optimize your ads for Facebook’s format and make sure that you are using the best parameters for each social media platform. Don’t rely solely on one single channel for your advertising. If you want to invest some money in stocks, any financial advisor will tell you not to put all of your eggs in one basket. If that one basket fails, then you’re out of a lot more than if you had put your eggs in several baskets. The same principle applies to social media advertising. You want to diversify your campaigns to be able to access a larger audience than you’d be able to access by using one channel exclusively. Perhaps the most important thing to do when advertising in social media is to constantly analyze the performance of your campaigns. You do this because you want to be able to make improvements before any shortcomings or misdirections become larger, more complex problems. By collecting and analyzing data, you can see where improvements can be made in the campaign, whether that’s in content, targeting or placement.